Equitable relief, on the other hand, is essentially relief that is not monetary. In many cases, Courts have equitable powers to fashion remedies aside from money, for instance to stop impending harm. For example, if Party B is wrongfully engaging in a pattern of illegal acts which is harming Party A’s business, the court can exercise its equitable powers to issue a restraining order to stop Party B from undertaking that illegal action. The main area of compensatory damages in business litigation is lost profits. Let’s say that ABC Bakery signs a 2 year contract with DEF Carting Company to haul away its garbage. They agree that DEF will pick up one 40 yard container of solid waste which normally weighs 20 tons. ABC agrees to pay DEF $1000 for every pickup, and DEF pulls one container to the dump every week. One year after ABC and DEF sign the contract, XYZ Carting goes to ABC and says that it should breach its contract with DEF and use XYZ because XYZ will only charge $900 per pickup, and it does. DEF sues ABC for its damages. It is entitled only to its lost profits, which is revenue minus expenses. (Punitive damages are not allowed in breach of contract cases). The revenue is easy to compute – 1 pull per week x 52 weeks left x $1000 per 1 pickup each week = $52,000. However, the trucking costs $100 per pull, and the landfill charges $400 to dump the garbage there, which equals $500 in expenses per pull, at one pull per week. Using the same formula for expenses yields us this: 1 pull per week x 52 weeks left on the contract x $500 per pull x 1 pickup each week = $26,000 in expenses. $52,000 in revenue minus $26,000 in expenses equals $26,000 in lost profits. The actual computation is infinitely more complicated because every business relationship has a multitude of variables, but this is the general idea. Now, let’s say that ABC goes out of business and can’t be sued. DEF can still sue XYZ Carting for tortiously interfering with its contract with ABC (and should probably do so when it sues ABC in any event). 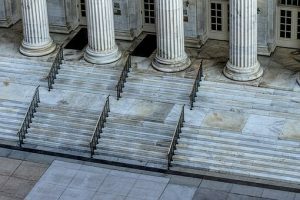 It would still be able to recover its lost profits from XYZ, but because this claim is for tortious interference rather than breach of contract, and DEF can recover punitive damages in addition to the lost profits. There are other types of money damages available in business litigation. In addition, to while breach of contract generally doesn’t allow for recovery of attorneys fees and litigation costs, the court will award them if the contract calls for it. Additionally, while “common law” business claims do not generally allow for recovery of attorneys fees and litigation costs, many statutes do. For example, garden variety common law fraud does not allow recovery of attorneys fees and litigation costs. Consumer fraud and securities fraud, however, often do allow for an award of attorneys fees and litigation costs. Our business law attorneys have significant experience in representing New Jersey businesses pursuing money damages, or defending them against such claims. Call us at (973) 890-0004 or email us to set up a consultation.